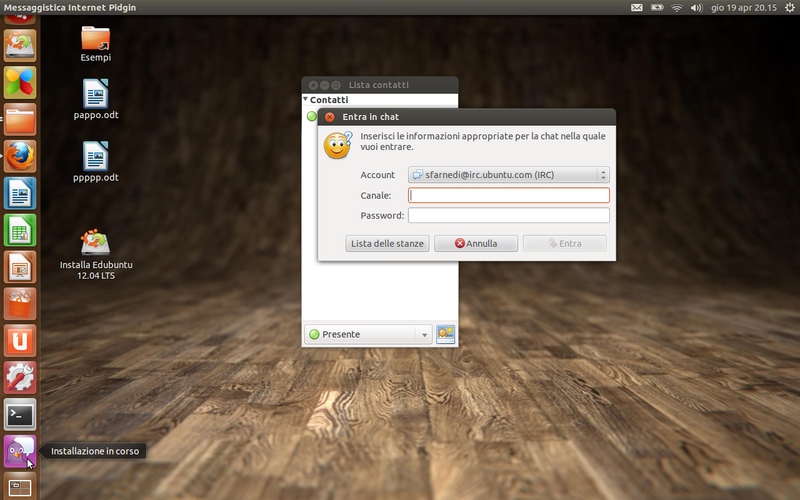 edubuntu usb live; italian localisation. Pdgin icon in launcher is "Installazione in corso" (installation in progress) as you can see from the attached screen shot. But pdgin is correctly installed and running. I think it's a software center problem. See also #986669.